At Tropicalaser we offer a vast array of skin rejuvenation treatments that include stretch mark and wrinkle reduction, acne treatment, pigmentation treatment, chemical peels and much more. Spider veins (face and body). We like to conduct a thorough evaluation of your skin during an approximately half-hour consultation to establish what the best course of treatment is for your particular needs. Our recommendation may cover more than one treatment to ensure the best possible outcome. Our preferred option for skin tightening is the Venus Legacy. 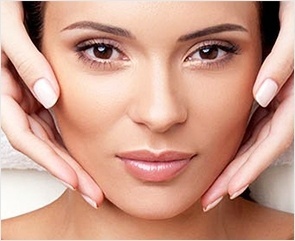 If there is little to no skin laxity, we may move directly to Micro Needling. For minor acne scarring, we would recommend a course of chemical peels. For more severe acne scarring we recommend Microneedling using the Dermaroller – the only Health Canada approved device for this treatment. Our recommended treatment is Micro Needling using the Dermaroller – the only Health Canada approved device for this treatment. We achieve excellent clearance of spider veins – both facial and body – using our GentleMax laser. 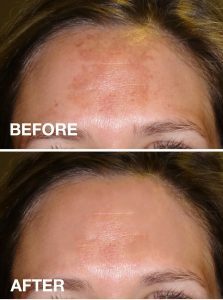 The GentleMax is a highly effective platform for the removal of pigment (birthmarks, age spots, sun spots, melasma) as well as spider veins. In spider vein removal, the laser works by sending strong bursts of light into the vein making it slowly fade and disappear. After treatment, blood vessels fade over 2 – 3 months. They may not disappear completely after a single treatment. Side effects may include redness, bruising, itching, swelling and, in rare instances, permanent skin tone changes. Laser treatments can fade sunspots, also known as solar lentiginosis or age spots, by destroying pigment-producing melanocytes in the skin. Patients typically require several treatment sessions over several weeks or months. 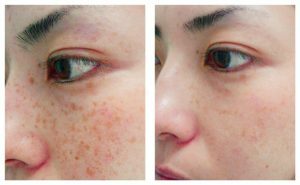 The mechanism for treating melasma (also known as pregnancy mask) with the laser is similar to that for fading sunspots. Post-treatment care of melasma is crucial as melasma is notoriously quick to re-emerge. Any sun exposure in the absence of a sunscreen containing a physical barrier (i.e. titanium or zinc oxide) will almost certainly result in a recurrence of melasma. * Please note, results may vary from patient to patient and results are not guaranteed. Free consultation is required to assess client requirements.